On Tuesday (Feb. 26), Big Machine Label Group and CMT Radio hosted CRS Kick-Off Party at 3rd and Lindsley. The kick-off event was hosted by CMT Radio Live’s Cody Alan. The night’s performances included country stars The Band Perry, RaeLynn, Cassadee Pope, Thomas Rhett, Justin Moore, Rascal Flatts and Tim McGraw. Other BMLG artists in the house included Eli Young Band, The Cadillac Three and Greg Bates. 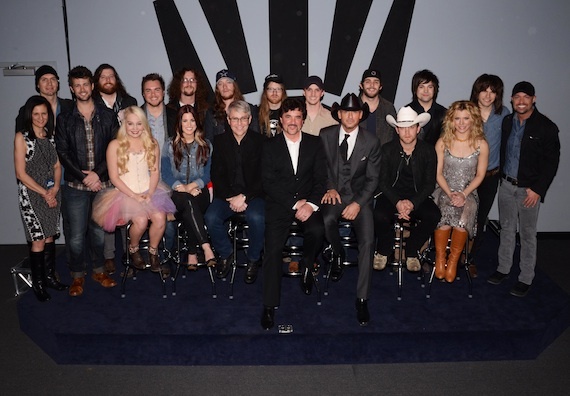 Pictured (Front Row, L-R): Leslie Fram, Chris Thompson, RaeLynn, Cassadee Pope, Jimmy Harnen, Scott Borchetta, Tim McGraw, Justin Moore, Kimberly Perry; (Back Row, L-R): Jon Jones, James Young, Mike Eli, Kelby Ray, Jaren Johnston, Neil Mason, Greg Bates, Thomas Rhett, Neil Perry, Reid Perry, Cody Alan. 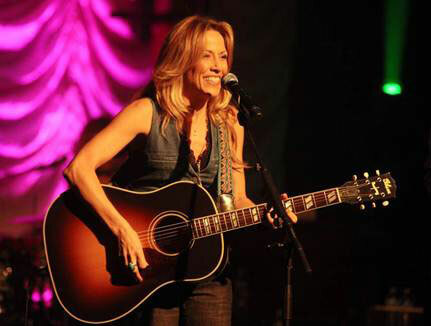 Sheryl Crow shared an intimate evening with attendees at the exclusive Tuesday Night Country Club “Sheryl Crow and Friends” presented by Warner Music Nashville. Special guests Miranda Lambert, Brad Paisley and Blake Shelton joined Crow at aVenue Nashville to perform her hits including “Steve McQueen,” “Strong Enough,” “Mascara” and “Real Gone.” Crow captivated the audience with “Easy,” the first single from her forthcoming album due later this year.